Levitate Music Festival announced its lineup for 2018 as the festival returns for their sixth year on July 7 and 8 in Marshfield, Ma. The festival continues to grow, with more than 21 bands that bring diverse musical genres with many new names, and a couple that keep coming back. 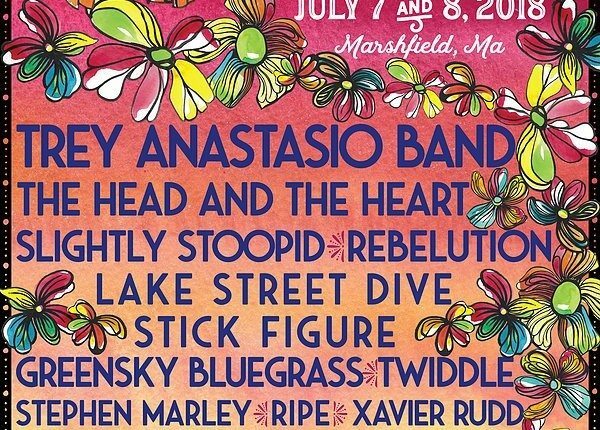 Trey Anastasio Band headlines the sixth annual festival and will be joined by indie folk band The Head and the Heart. This will be the first time each band has played at the festival. 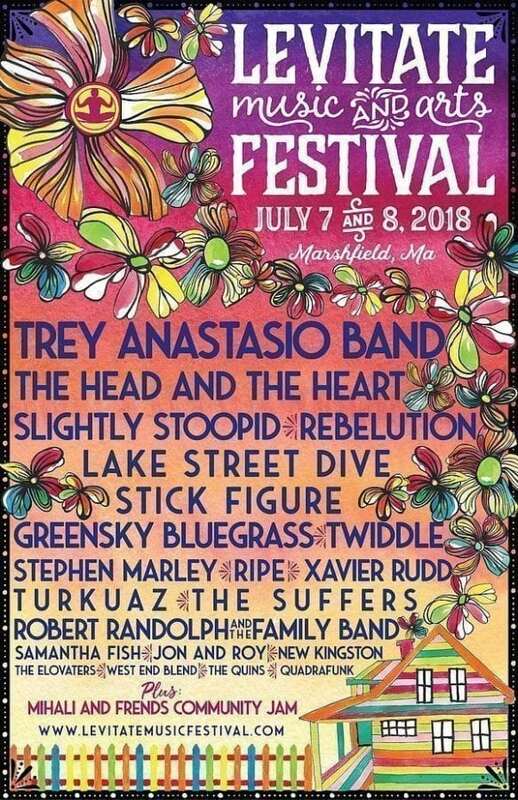 Other bands include: Slightly Stoopid, Rebelution, Lake Street Dive, Stick Figure, Greensky Bluegrass, Twiddle, Stephen Marley, Ripe, Xavier Rudd, Turkuaz, The Suffers, Robert Randolph and the Family Band, Samantha Fish, Jon and Roy, New Kingston, The Elovaters, West End Blend, The Quins and Quadrafunk. More bands will be announced. A staple at Levitate, Stick Figure marks their fifth appearance. They have been on every Levitate lineup except for the second one in 2014. Tickets for Levitate are on sale now. 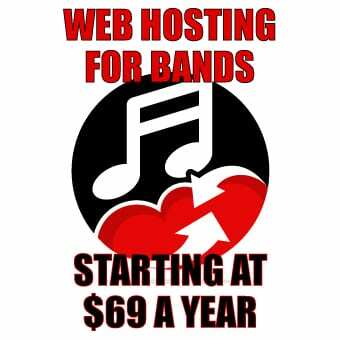 Visit the Levitate website for more information.